So many adaptations of superhero comic books have received the blockbuster treatment it’s now safe to say we have seen the best of them. And its questionable what more or different there is that can be done with the super-powered, costume-clad hero or heroine. However, the latest hero to hit the big screen is distinguishable from his better known DC Comics counterparts in as much as where Batman and Superman are planet Earth-bound, ‘space cop’ Green Lantern is intergalactic in scope. And that gives this blockbuster carte blanche to go interstellar with the special effects, which it does and quite impressively. The special effects spectacle is staged with a sure hand by director Martin Campbell, who’s proved himself to be a commensurate action filmmaker with Bond films GoldenEye and Casino Royale and the Zorro movies. 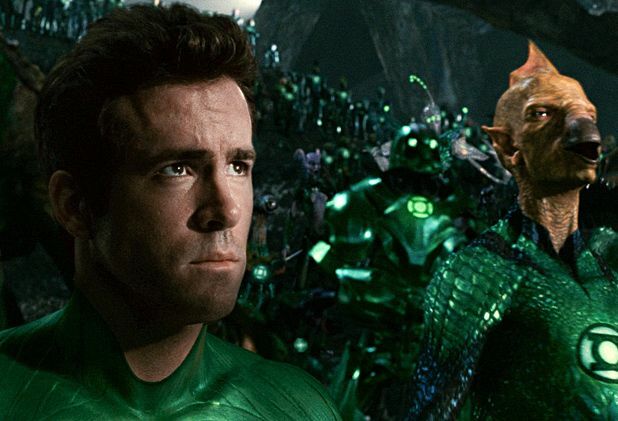 What comes as a pleasant surprise is the smart script (co-penned by Greg Berlanti, Michael Green and Marc Guggenheim whose combined TV credits include Smallville, Dawson’s Creek and FlashForward) and nicely judged performances from the quality cast lead by Ryan Reynolds, who plays Hal Jordan, the test pilot who must overcome his inner fears in order to become a guardian of the galaxy and save his home from a fear-fuelled civilisation-devouring entity known as Tomar-Re (voiced by that old ham Geoffrey Rush). Blake Lively makes for a snappy romantic interest, Peter Sarsgaard a creepy super-brained villain and Mark Strong an impressive - and threatening - mentor to Jordan (whose return as a nemesis in the already greenlit sequel is hinted at – but then with a name like Sinestro what is else is one to expect?). Green Lantern moves along briskly, strikes the right balance between being serious enough to be exciting and funny enough not to become laughable and manages to transport intact the spirit of the Golden Age comic character to its contemporary setting. The Earth-set climax becomes a bit pedestrian, but it takes off again when things go intergalactic once again. And there’s a sweet and humorous scene at the end between Hal and his girl. Out now on general release. The List saw Green Lantern courtesy of Vue Omni Edinburgh. Summer superhero blockbuster as Reynolds is bestowed the power of the Green Lantern in this sci-fi action romp.